download the E-P3 manual you can find something “unexpected” on page 120. 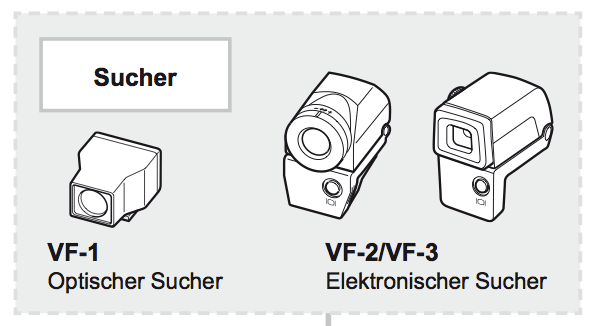 You can see the picture of the new VF3 which has a builtin flash! Our reader “Andi” made a nice finding! If you visit that german Olympus page (http://www.de.olympus.ch/consumer/208_manuals.cfm?prodID=E-P3_master) and download the E-P3 manual you can find something “unexpected” on page 120. You can see the picture of the new VF3 which has a builtin flash! I have been told that the upcoming VF-3 has less Pixels than the current VF-2. The VF-3 has 900.000 pixels while the VF-2 has 1.400.000. The main advantage of the VF-3 is that it is much cheaper.